30/10/14. Erbil, Iraq. 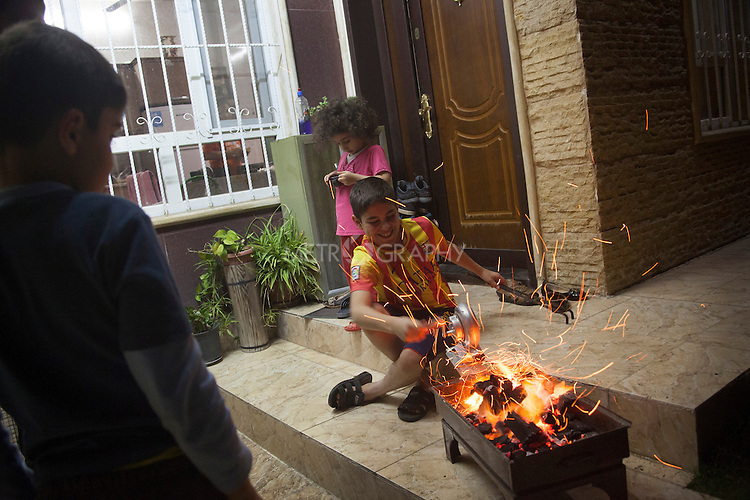 Wassam (centre sitting) prepares a barbecue during a farewell party for he and his brother Milad. Milad and Wassam will return to the orphanage in Alqosh the next day and start the new school year.